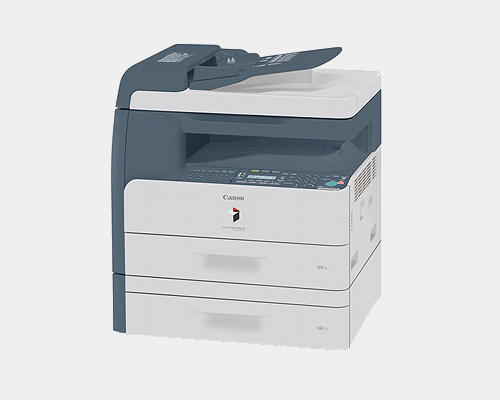 The Canon ImageRunner 1023 monochrome laser multifunctional center is available in three different model variations, including a networked version, and incorporates full fax functions into a printer / copier design. It comes with a basic set of features across the board, with expandability options that leave users the option to beef up particular areas of functionality. 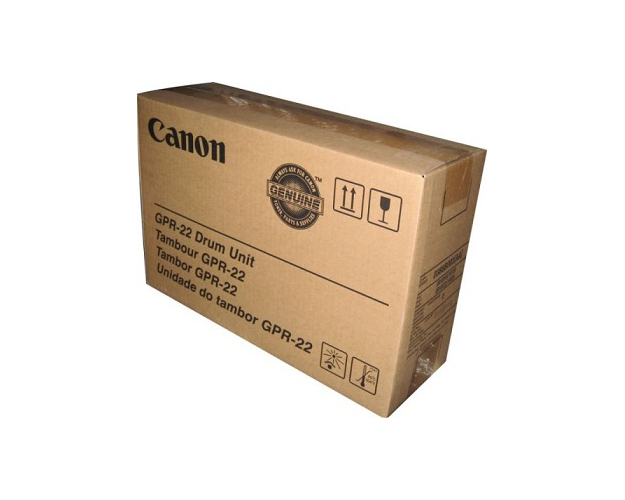 The print speed of the Canon ImageRunner 1023 tops out at 23 pages per minute, which is acceptable for a MFC in this price range, while first copy out time is also slightly above average at 8 seconds per page when using the platen glass. When the automatic document feeder is in motion, first page out time is lengthened to 12 seconds. Copy speeds also run at 23 pages per minute. The image server memory in the unit is surprisingly good at 256 MBs standard which allows for the reduction in slowdown when dealing with complex copy jobs. 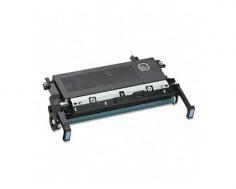 The included document feeder has a function that most on the market do not. As a duplexing ADF, the unit can automatically scan or copy double sided input, while the regular duplexor allows for two sided output with no user intervention. 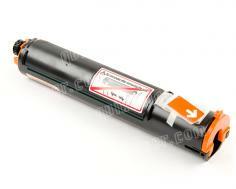 The paper handling abilities of this device are exceptional, not to mention expandable. Standard paper supplies come in the form of a 500 sheet paper cassette and a large 100 sheet stack bypass that is ideal for users who print a large quantity of envelopes, card stock, or other special media types. The 600 sheet standard paper supply can then be expanded up to 1,100 sheets via an addition 500 sheet tray. This also allows users to load up to three paper types at once. Really the only downside to the Canon ImageRunner 1023, and units like it, is the high price tag. With features that are scattered as far as strengths and weaknesses, one would really have to know what they were looking at to shell out the extra cash for a model such as this; otherwise they may be wasting their money, and might be better off purchasing a more rounded printer without some of the expert level features. Additionally, the optical scan resolution is not as high as one would hope at only 600 x 600 dots per inch. This is an all too common problem with Cannon MFCs, whereas other brands offer buyers up to four or six times as much optical quality. Interpolated scanning is an option for the Canon ImageRunner 1023 and tops out at 9600 x 9600 dots per inch, but can be extremely time consuming. Review it: "Canon imageRUNNER 1023 "
Unlike the Canon imageCLASS series which relies on a single cartridge system, the MFCs in the imageRUNNER line utilize a more classic approach which consists of a separate drum unit and toner cartridge. Each toner cartridge is relatively inexpensive and can produce up to 8,400 pages of yield at 5% coverage, which means overall cost per page will stay low, though the drum unit can be much more costly, and offers a 26,900 page yield.